Mars has fascinated mankind for centuries. 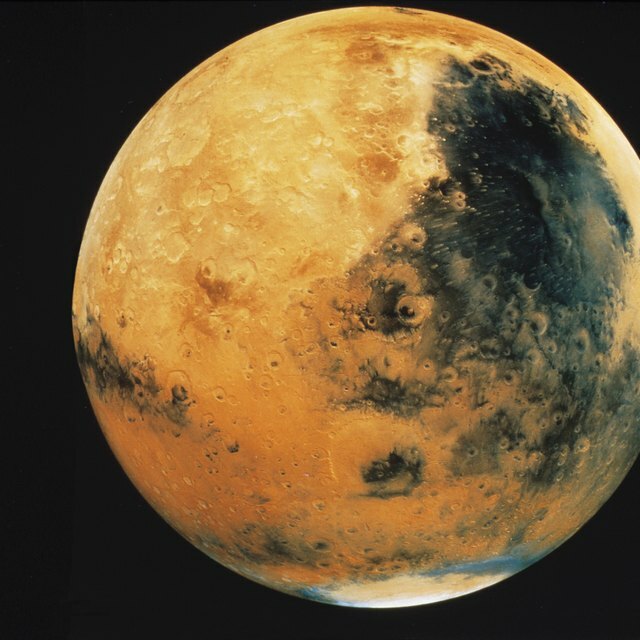 It has been argued as to whether life could actually be sustained on Mars, which makes it a good planet to study. When you are finished with your study on Mars, you will want to create a model of the planet to remind you what you have learned. This model doesn't have to be expensive, and can be made out of paint and paper plates. Use two paper plates to make your circle. Have the paper plates face each other so that the rims touch. Staple the rims together with a staple gun. Since you aren't putting anything in the middle of the plates, you only need a few staples. Paint the paper plate red on both sides. This is the main color of Mars. Add brown spots to your planet. The best way to do this is to get a picture of Mars to refer to. You can get one for the library or you can look up some pictures online. Give the paint some time to dry. Punch a hole in the top and add a piece of string so you can hang your model up. Lay out some newspapers so that you don't get paint on your desk. Alicia Bodine has been a professional writer for 13 years. She has produced thousands of articles for online publications such as Demand Studios, GoBankingRates and WiseGeek. Bodine is passionate about gardening, travel, education and finance. She has received awards for being a top content producer. 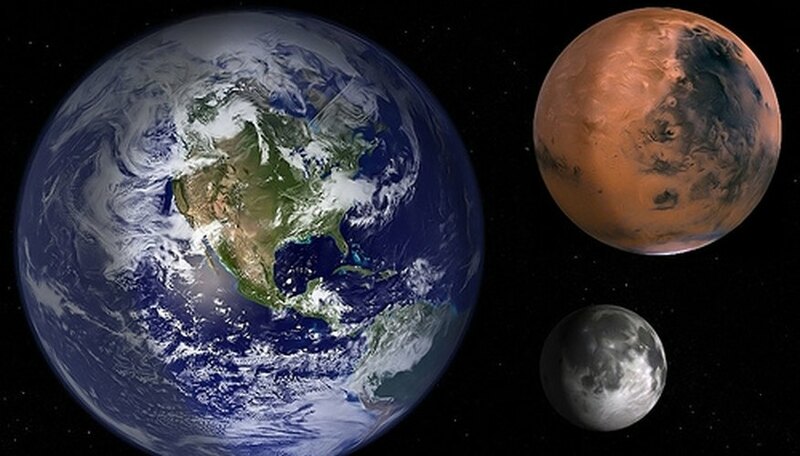 Is Mars or Venus Closer to the Earth? Bodine, Alicia. "How to Make a Paper Plate Mars." Sciencing, https://sciencing.com/how-to-make-a-paper-plate-mars-12740969.html. Accessed 21 April 2019.